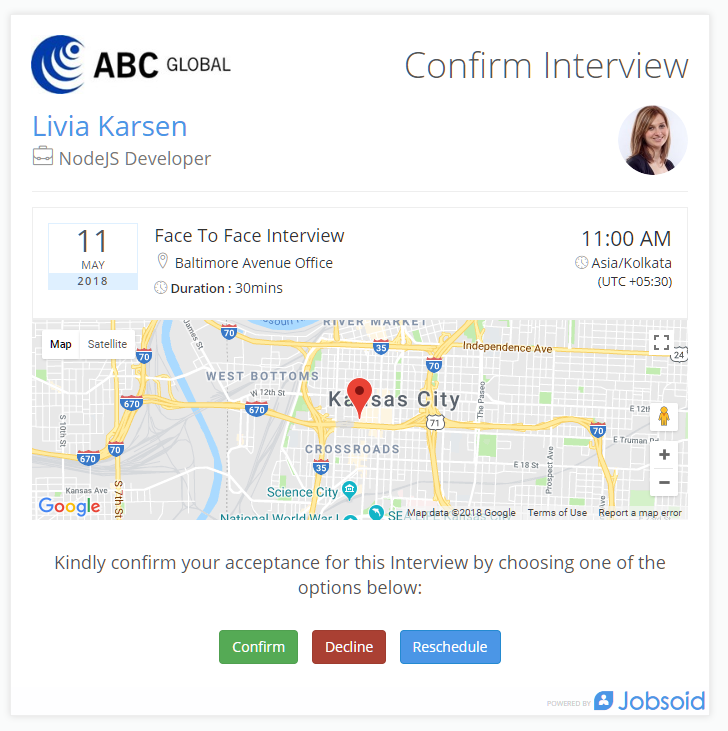 Jobsoid lets you send out interview invites to your candidates quickly. It can be done directly from the interview details page. 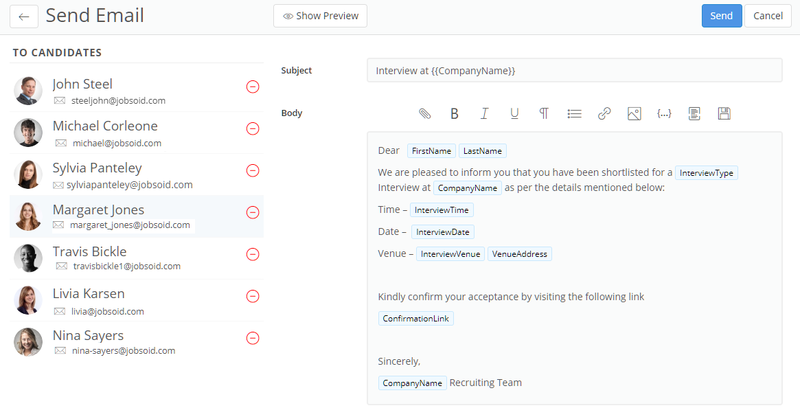 The interview details page gives you details of the scheduled interview like date and time of interview, interview venue, names of interviewers and candidates. Click on the (-) icon if you wish to delete some candidates from the recipient's list. You will receive a notification alert/email/SMS once the candidate confirms or declines the interview.